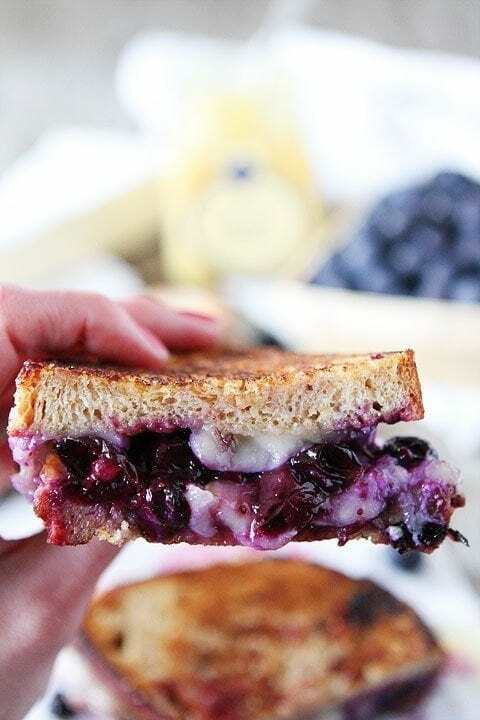 Blueberry, Brie and Lemon Curd Grilled Cheese-a sweet and decadent grilled cheese sandwich that is perfect for dessert! It’s no secret that grilled cheese sandwiches have been my ultimate pregnancy craving this time around. The ingredients are simple-bread, cheese, and butter. You really can’t go wrong when those ingredients are involved. I am fine with a classic grilled cheese sandwich, but sometimes it’s fun to spice things up. 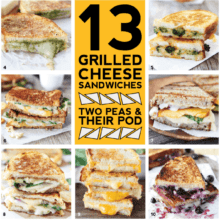 A few of my favorites include: Guacamole Grilled Cheese, Pesto Crusted Pesto Grilled Cheese, and Roasted Broccoli Grilled Cheese. I love a good savory grilled cheese, but my new favorite is a sweet grilled cheese sandwich, Blueberry, Brie and Lemon Curd Grilled Cheese. You shouldn’t be too surprised since I have a major sweet tooth! 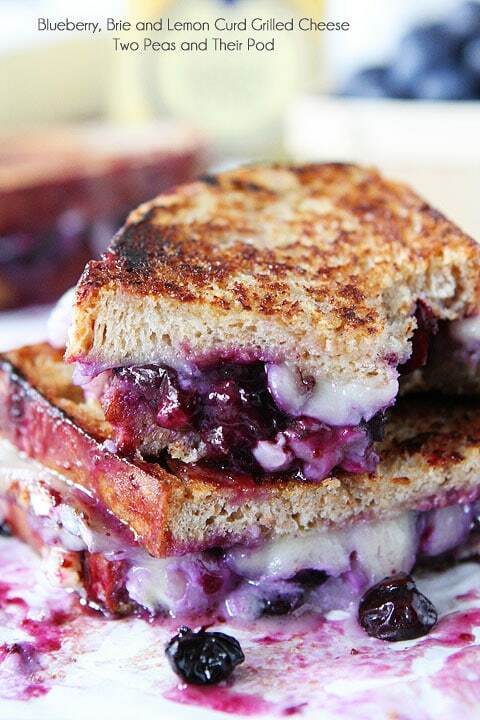 This blueberry grilled cheese is EPIC! The other day we were out running errands and got home later than we anticipated. It was kind of late and I wasn’t in the mood to cook dinner, so Josh suggested grilled cheese sandwiches. He knew I would be on board. Josh agreed, but I started to feel like a bad mother, so I got out some veggies, crackers, fruit and spreadable President Gourmet Cheese for us to snack on while we made our dessert grilled cheese sandwiches. I felt better that Caleb had some “dinner food” in his belly before we indulged. And Caleb loves the Garlic and Herb cheese so he was happy spreading cheese on crackers while we got to work. Josh cut slices of crusty bread while I sliced the brie. I also put the blueberries on the stove with a little water and sugar so they would create a nice blueberry sauce. Josh buttered the outside slices of bread and layered the brie, lemon curd, and blueberry sauce inside the pieces of bread. He grilled the sandwiches until the brie and blueberries were oozing out the side. I couldn’t wait to have a taste! There are no words to describe the deliciousness of this sandwich. It is out of this world good! The melty brie paired with the sweet blueberries and tart lemon curd is amazing! I was only going to eat half of a sandwich, but I had to finish the whole thing. It was too good to stop! Josh and Caleb enjoyed the sweet sandwiches too. Caleb had blueberries all over his face…with a big smile! 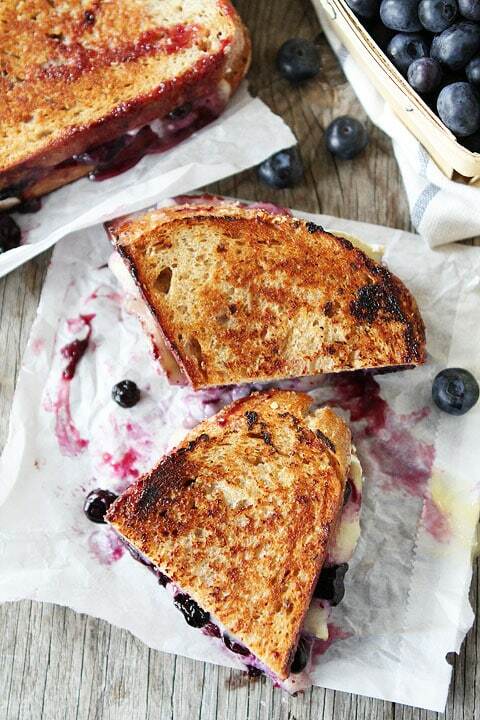 Sweeten up your spring with a Blueberry, Brie and Lemon Curd Grilled Cheese sandwich. I can’t stop thinking about this grilled cheese sandwich. I think I need a round 2 and very soon! This sweet grilled cheese sandwich is perfect for dessert...or any time of the day! It is amazing! 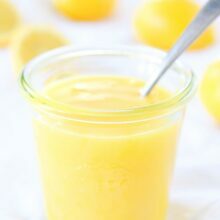 You can make your own lemon curd or use store bought. In a small saucepan, add the blueberries and water. Only add the water if you are using fresh berries. You don't need water if you are using frozen berries. Stir in the sugar or honey. Cook over medium heat until blueberries begin to pop and are juicy. Remove from heat and set aside. Evenly place slices of brie cheese on unbuttered side of two slices of the bread. Spread lemon curd evenly on the bread slices. Top with blueberries and addition slices of brie cheese. Top with remaining slice of buttered bread. Heat a skillet over medium high heat. Place sandwich, butter side down, in pan. Cook for 2-3 minutes on each side or until lightly toasted and cheese melts. Remove from pan and cut sandwich in half, if desired. Serve immediately. Note-I used store bought lemon curd from Trader Joe's. You can make your own though! 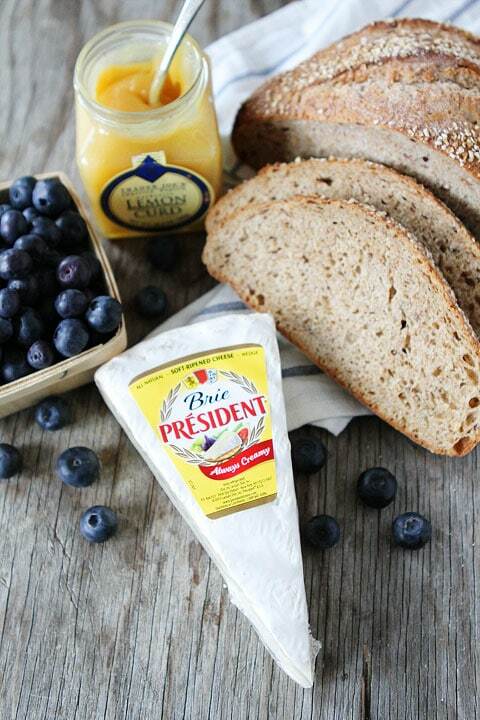 Disclosure: this post is in partnership with President Cheese, but all our opinions are our own. That is no ordinary grilled cheese sandwich. Looks amazing, creamy and lovely colour from the blueberries. Yum! I need to try this! I pretty much love all fruit+cheese combos so I’m sure I’ll love it. 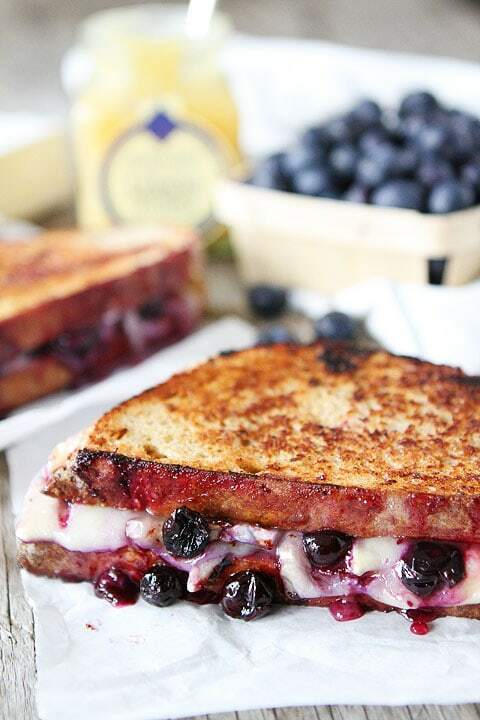 Berry grilled cheese is always my favorite! Love the addition of the lemon curd! I love the combination of blueberries and lemon. What a great idea. I bet it’s delicious! Grilled cheese month rocks my socks. LOVE the lemon curd idea! And brie anything/everything is a good life choice. Holy heck! You could serve me this sandwich any time of day and I’d be delighted. 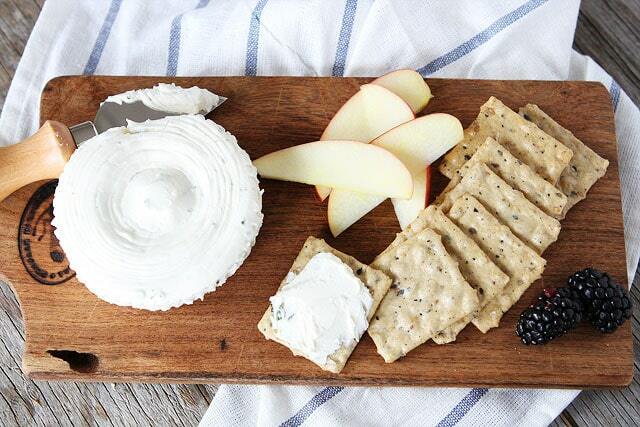 Omg, I love that you used brie in this!! The flavors in this are a perfect marriage!! Now this is my kind of grilled cheese! Love!! WHOA BABY!!! Now this is what I’m talking about! 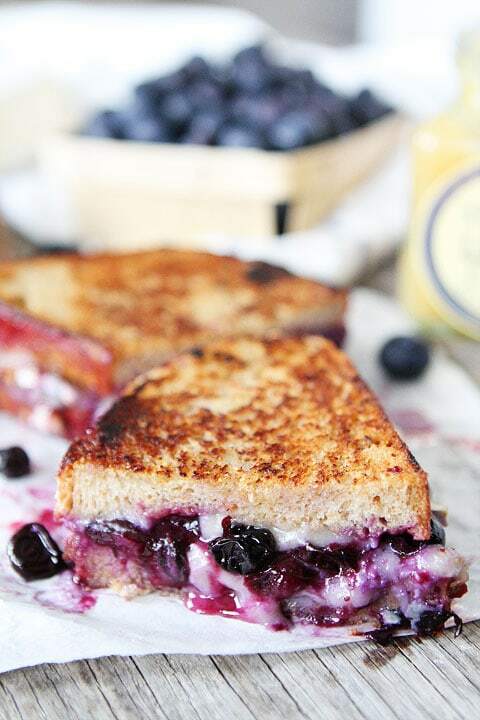 OMG> I just made a brie grilled cheese last week and it was to die for- I never would have thought to add lemon curd and sweet blueberry sauce- what an awesome dessert! These look awesome! One of my pregnancy cravings is lemon, these will fit the bill perfectly. 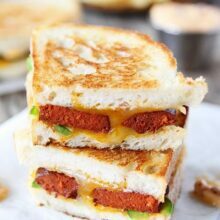 I’m in love, I need this grilled cheese immediately! Holy heck!! This grilled cheese is unreal! I’d have a really hard time not just eating that entire block of cheese between handfuls of blueberries. I admire your restraint. I am literally salivating!!! Love the flavors in this!! Seriously… these photos are amazing! 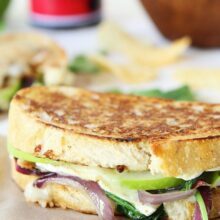 You couldnt’ do a better job to describe how good these sammiches must taste! I know what I’m making this weekend ;). Yum! Oh. My. This looks wonderful!!! Oh wow…looks amazing! I just posted a Croque Monsieur recipe yesterday and I had no clue it was a grilled cheese sandwich month! Score! Now I am forced to eat more of this deliciousness, clearly I have no choice. This looks so very delicious! I see this grilled cheese on my plate in the near future! Hi Maria! I’m a long time fan of your blog and we have so much in common. I also have a 2 year old son, and am expecting our second child in June (a boy!). I hope you don’t take offense to this, but I’m curious what your OB said about eating soft cheeses like that during pregnancy, especially frequently? Both my OB with my first son as well as with this pregnancy said no way which is a bummer because that sandwich looks so good! I hope your pregnancy is going well and I’m sure Caleb is so excited to be a big brother. Thanks for your concern. President Cheese is pasteurized so it is fine. I never would have thought of this combo. I am eating it right now- DELICIOUS!!!!! 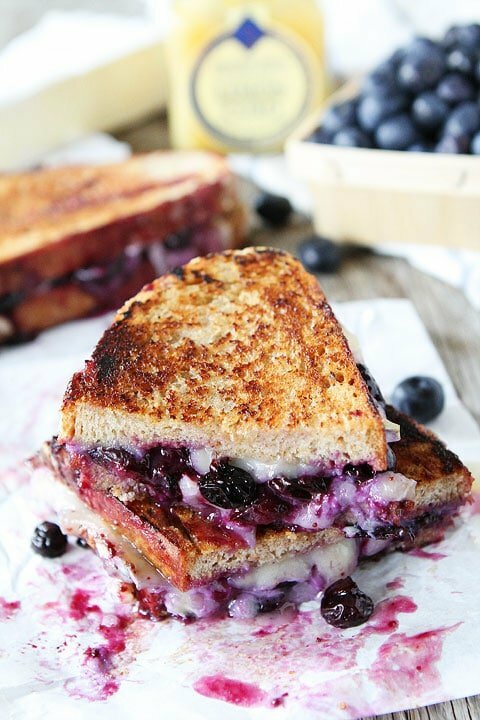 This sandwich looks like blueberry bliss, love the lemon curd and brie! This was amazing! Will definitely make again!